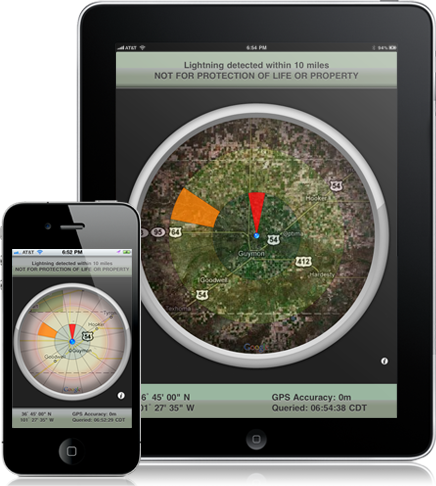 The only application with real time lightning strikes utilizing a compass based system to provide up to the minute distance and direction information. Not some clunky click a button when you see the flash and click the button when you hear the sound. This is actual lightning strokes. Real data in real time. When lightning strikes, you don't have time to play around with application settings, radar overlays or national views that require zooming around. You want to know how far the lightning is away and in what direction from YOU.